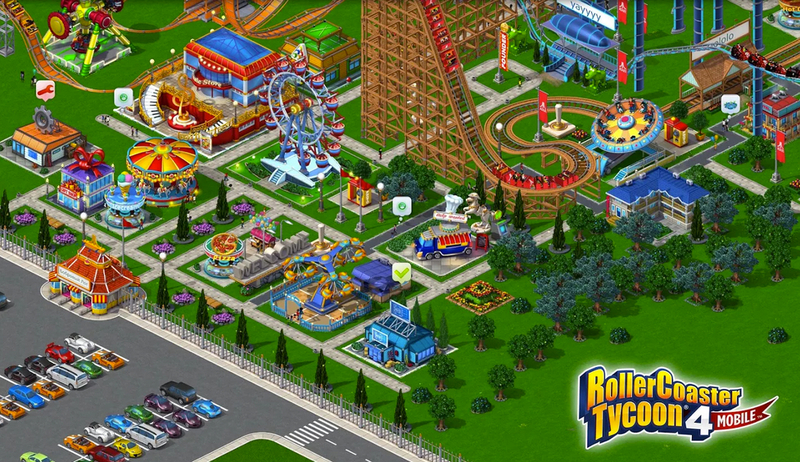 Atari has published RollerCoaster Tycoon 4 to Google Play for Android devices, allowing players the opportunity to become the world’s best roller coaster creator. In the game, you play as an amusement park owner who must build the greatest park the world has ever known, and the game gives you plenty of coasters and attractions to do so. While building your dream park, you will need to keep folks in attendance happy. If lines are too long, rides are too intense, or the park has no bathrooms, people won’t be very impressed. To sum it up, you need to use your skills to create things that everyone will love, while also making it a safe and exciting experience for the people who pay to enter. In terms of being a simulation game, the process is quite intense. The best part? It’s free to download from Google Play, but beware the IAPs. Customize your theme park with different attractions, restaurants, businesses, concession stands, hotels and decorations. Play a Slots mini-game within your park. New content and features released all the time. History of Nexus Phone Pricing - Why the High Price for the Nexus 6?